Italian food, in a sense, is comfort food to me. Be it pastas, pizzas, risotto, gelato or panna cotta -- name it, and I probably love it! However, although I've been enjoying Italian cuisine for a while now, I can't really say that I've tasted a lot of authentic Italian food. For one, I haven't even been to Italy! Luckily, there are a few restos in the metro serving authentic Italian dishes. And yes, owned by Italians and also patronized by Italian expats living in the country. 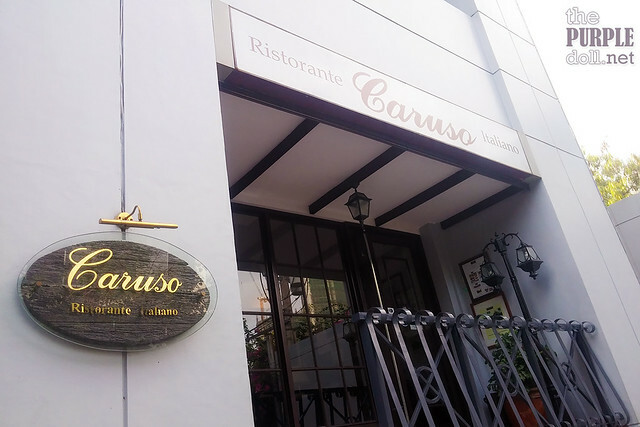 Called a ristorante, Caruso is a more formal restaurant compared to a trattoria which is a more casual one. 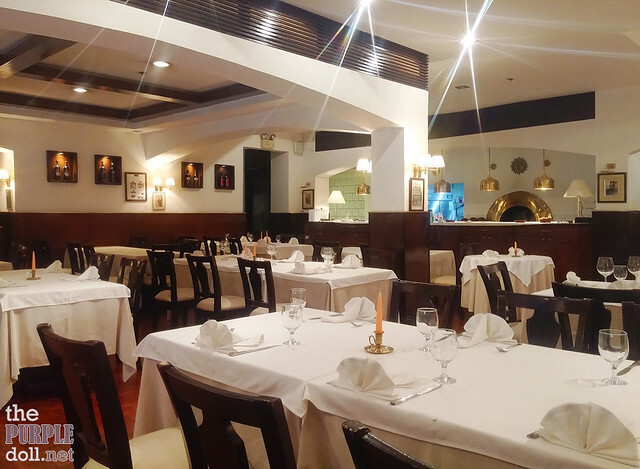 And just as how it's named, Caruso Ristorante Italiano will greet guests with a fine yet cozy dining atmosphere with warm, romantic lighting. They also have a piano by one side, so guests can enjoy soothing piano music for dinner. Anyhow, despite the fancier setup, Caruso Ristorante Italiano feels very welcoming and far from intimidating. 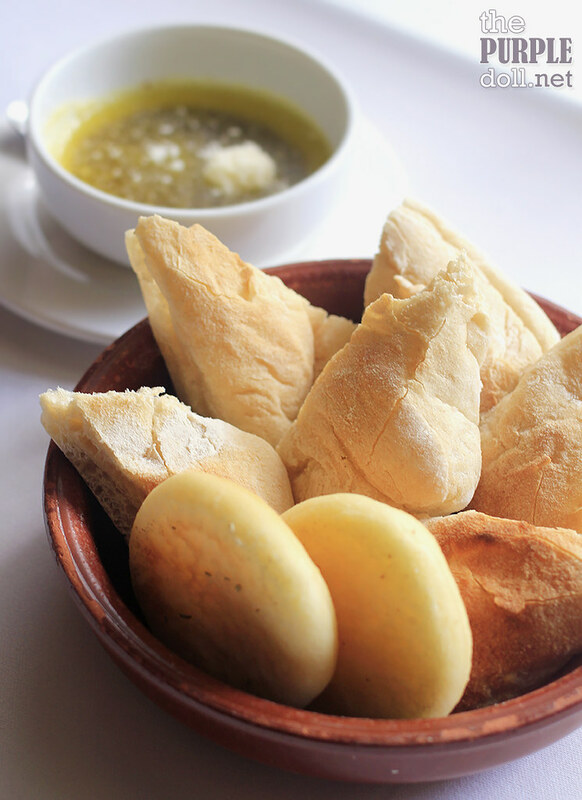 As expected from an Italian resto, Caruso serves bread first while you wait for your orders, along with olive oil, balsamic vinegar and parmesan for dipping. And don't be shy to ask for seconds! We sure went ahead and asked for one since their breads were pretty good! Whenever the boyf and I eat at Italian restaurants, we would usually skip the appetizers and go straight to pasta. However, since we wanted a more authentic Italian dining experience at Caruso, we ate how Italians would, and started off with antipasti first. 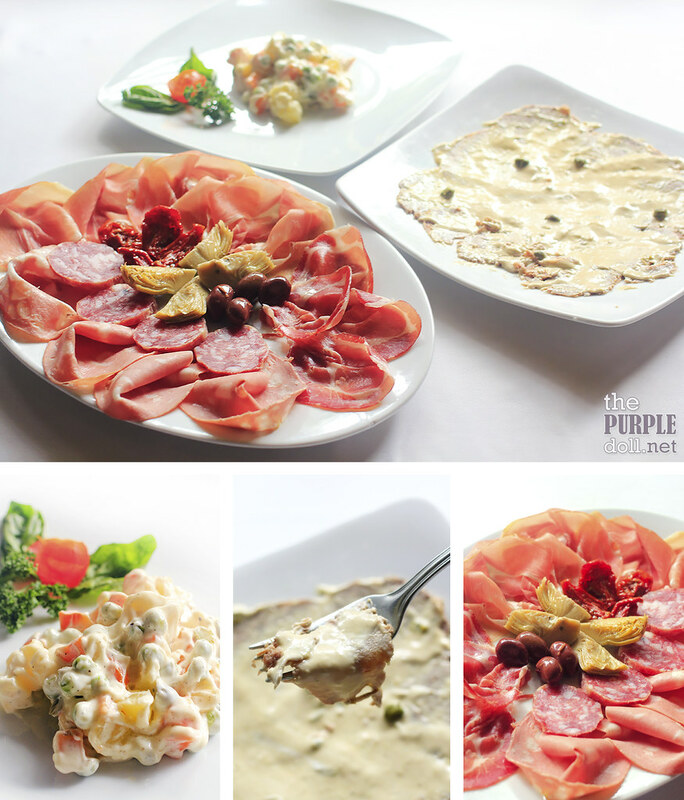 For our meal starters, we had the Insalata Russa which is the Italians' take on my favorite potato salad. We also had the really yummy A Vitello Tonnato which is cold, thinly-sliced veal with a creamy tuna-caper-anchovy-lemon sauce -- something new for my palate, but I very much enjoyed every mouthful. We also had a set of Piatto Fantasia which included some salami and prosciutto, along with sun-dried tomatoes, marinated artichokes and olives. Paste made from olives was used to draw Winnie the Pooh's features. It was interesting that here at Caruso, you can request for a customized shape of pizza. This is not only fun for kids, but also for kids-at-heart -- us. 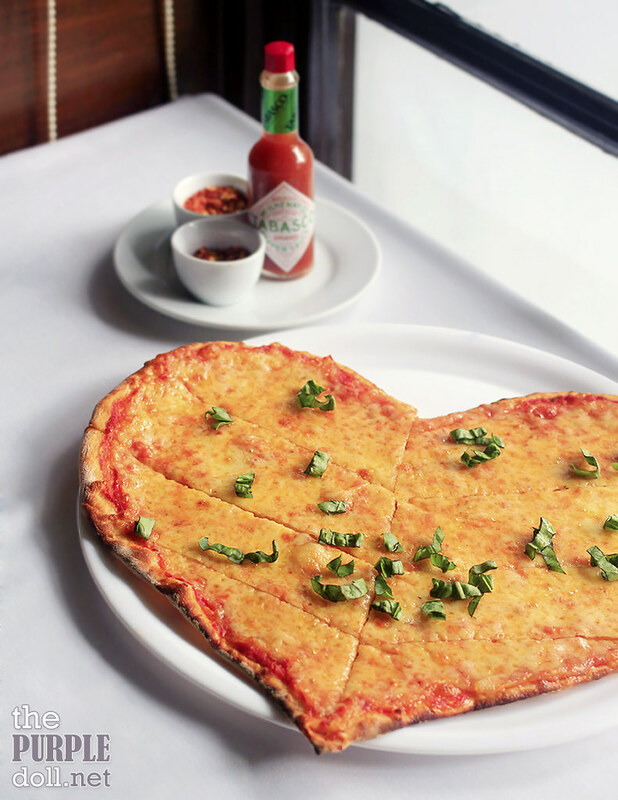 So just imagine our excitement when we saw that their Margherita Pizza can not only be shaped into a heart, but also as Winnie the Pooh! But apart from looking really cute, we can't deny that every slice tastes just as good. The pizzas are pretty simple, just like how Italians like it. And you can really taste the harmonious marriage of the tomatoes and mozzarella cheese with every bite! For pasta, we had the Trittico di Pasta Terra where you can choose 3 dishes from their Pasta Terra menu. We had the homemade garganelli pasta in porcini mushroom sauce, the homemade tagliatelle with truffle cream and parma ham, and the homemade ravioli with spinach ricotta cheese, butter and sage. All three were really delish, with pasta cooked to perfect al dente doneness! I can't even pick a favorite 'cause I love them all! 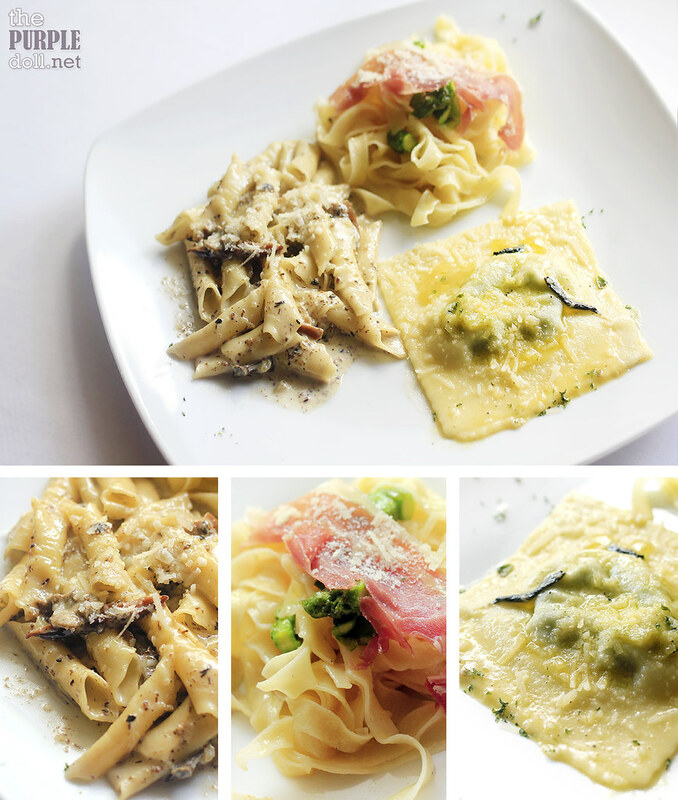 If you're like us, eager to sample more pasta dishes, then try getting this sampler. It's definitely good value! Although I loved the idea of sampling 3 kinds of pastas, if I have to choose just one, then I'd pick this Aglio Olio dish! I may not have shared this before, but when it comes to pasta, the lesser and the simpler the ingredients, the more I tend to fall in love with it. And this pasta dish perfectly fits the bill. 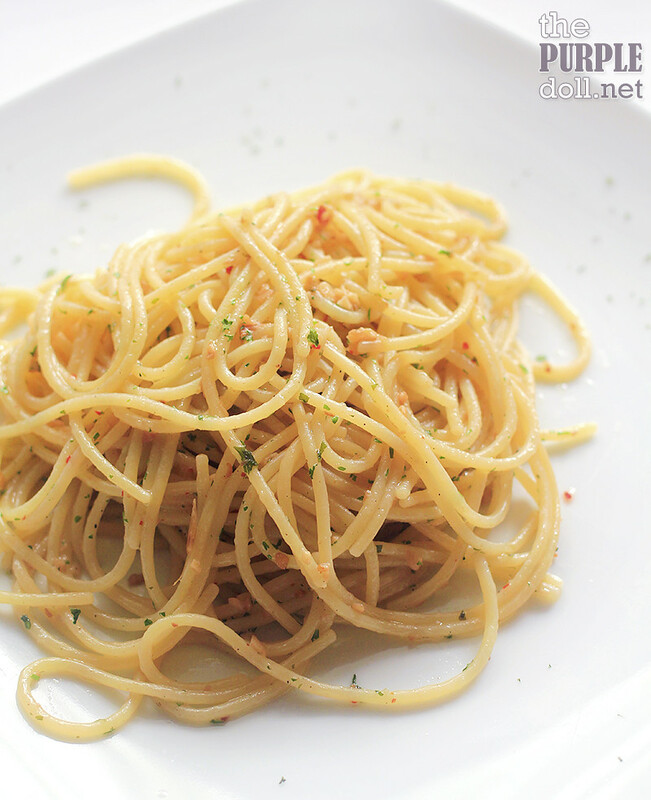 Made with just garlic, olive oil and chili, a dish such as this really relies on quality ingredients, good cooking technique, and perfectly al dente pasta. Although I love Italian cuisine, my noobness really showed when we were served this entrée. 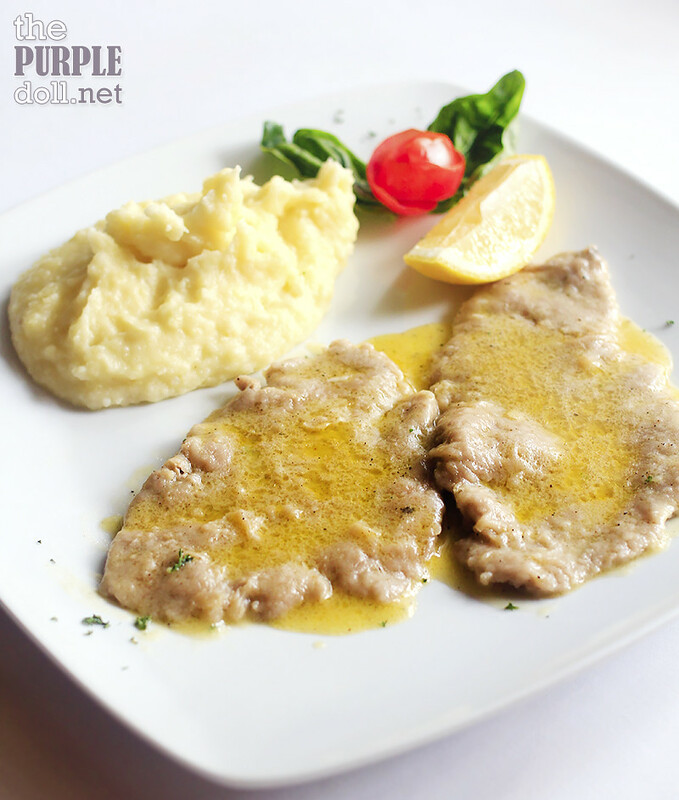 Thin Australian veal slices in lemon sauce -- this trip to Caruso was the first time I've heard of this dish. However, we were told that Italians love enjoying this especially during summer. And you know what? Upon first bite, I found myself hooked! The veal doesn't look too enticing, but it was very, very almost-melt-in-the-mouth tender. And the sauce, it was refreshing, lemony, and perfect for a hot and humid weather. And I'm really glad I got to know this dish, as after trying it out, this is something I'll order in Italian restaurants from now on! Even when full, who are we to say no to desserts? So first up was this serving of the Italian classic, panna cotta. I've always loved this dessert, and have enjoyed it many times. However, tasting this particular item was the first time I ever had a foodgasm while eating panna cotta. Yup, it was THAT good! You get soft, smooth, silky, slightly jiggly and creamy with just the right sweetness on every bite. 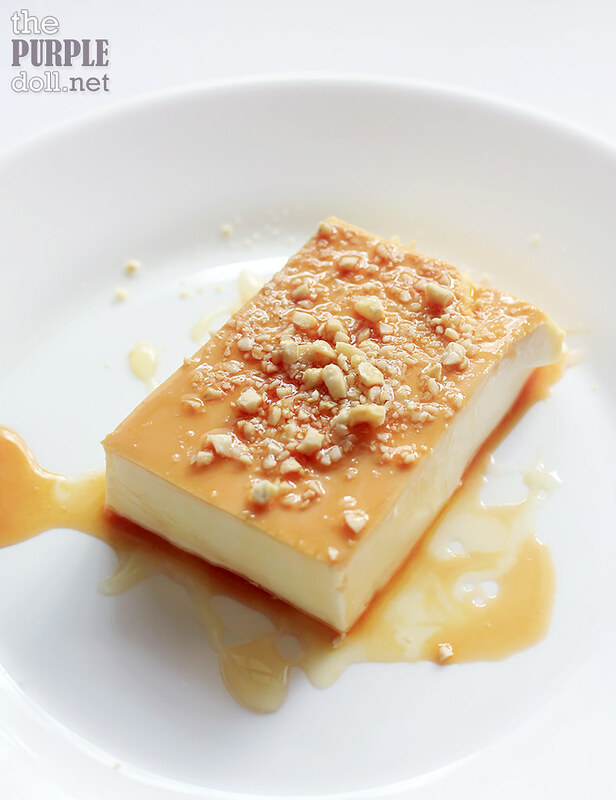 I can't say if this is authentic Italian panna cotta, since it kinda looks like our Pinoy leche flan, to be honest. But one thing I'm sure of, is that this is REALLY addicting! I can actually see myself returning every week just to enjoy a serving or two. We then tried this seemingly safe dessert that didn't fail to surprise us. An Italian custard based dessert, the Zuppa Inglese has layers of chocolate, pastry cream and biscuits soaked in marsala wine. Yup, liqueur! It was what took us aback since we just weren't expecting that kick. Haha! But upon bites after bites, we finally learned to appreciate this sweet treat. 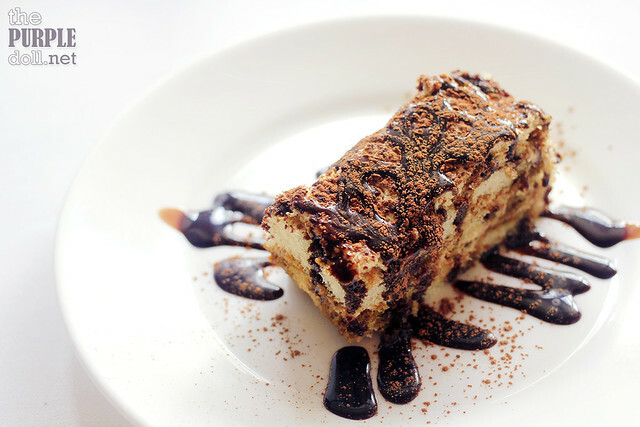 If my favorite sweet was the panna cotta, the boyf on the other hand, found himself smitten by this serving of Tiramisu. 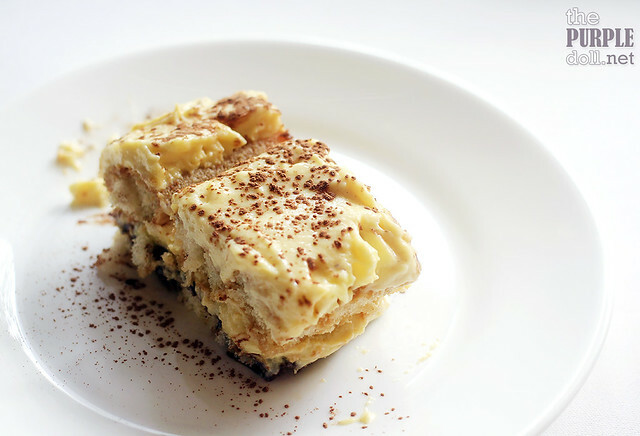 A popular Italian dessert, this tiramisu is made of ladyfingers dipped in coffee, layered with a whipped mixture of eggs, sugar and classic mascarpone. However, for some reason, I didn't pick up the coffee taste that much, but picked up the cocoa flavor. Anyhow, this is still an enjoyable dessert perfect to cap off our filling Italian lunch. Our visit to Caruso Ristorante Italiano didn't only make our palates and our tummies happy, it also taught us more about what Italian cuisine is all about. While I thoroughly enjoyed their pastas and pizza, I can definitely say that the highlight of my meal were the A Vitello Tonnato, and the Scaloppine di Vitello al Limone (along with the heavenly panna cotta) -- two of which Italian dishes I have never heard of prior to visiting this restaurant. And while prices are generally higher, I can assure you that the quality of food, the prompt and courteous service, as well as the romantic ambiance, is more than enough to outweigh the costs. 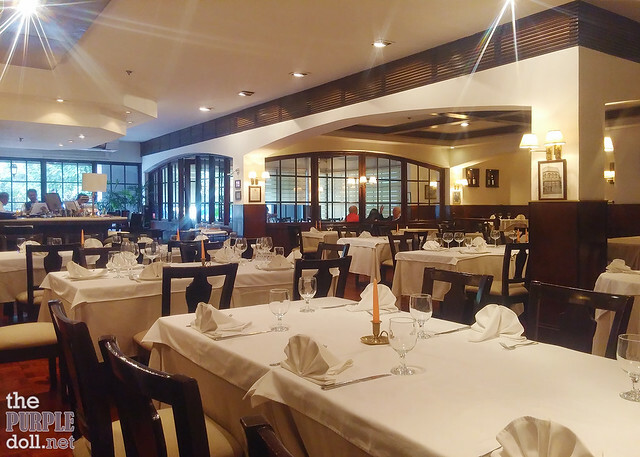 So if you want to get a taste of authentic Italian cuisine and learn more about it, then I highly recommend that you check out Caruso Ristorante Italiano. I know, I'm coming back for more! I love pasta! and I love that they have a pasta platter. OMG! my son's school is nearby there! I want to try it out! The pizza definitely caught my attention! I love the photos you took! It's like it came out of a gourmet magazine. The food and place looks great. Would love to dine here someday. Thanks for sharing! I nearly scream when I see the Winnie the Pooh pizza! not that I'm a fan of that bear, but it's so creative and cute! the tiramisu looks heavenly! but a tiramisu with no coffee (and alcohol) taste is not a good one. and i love how those cutely shaped pizza looked! pooh bear and heart shape, omg! Love the ambiance of the place. And I do love Italian foods. Guess, I have to make a date with my wife here. Ooh the Panna Cotta looks so yummm! And I'm drooling over that pooh margherita pizza! This is near us pala. Will check this place out soon. The place looks really awesome. And once again, the food photos you have made their foods even more special. WOW! the food looks really awsome !!! ttally adore the winne the pooh pizza! The prices are too much for my liking. I think I can get good Italian food without having to pay so much. Unless I was really in Italy! That veal entree is so intriguing! If ever I pay a visit to Caruso, I'm definitely trying that one, and the pasta sampler! My kids will be happy to see the pooh!~ Such a nice place to dine in.. They have different style in presenting TIRAMISU. The presentation is absolutely lovely----I love tiramisu! It's so cool that they have heart shaped and pooh shaped pizza. This one is near my office. I love those two creative pizzas, they ate so cute. Overall, it looks like you a meal and lots of really good dishes and desserts. That's really fun how the pizzas can be customized into anything the customer wants! You have such great food photos, what camera and lens do you use?